A new Gallup poll has shed some interesting light on the demographics of the United States. It seems that a record-breaking number of Americans want to be expats. If you’ve been curious about living abroad, then you’re not alone. Perhaps it’s because of high medical costs, or because of the current polarized political climate, but many Americans are looking to live the expat life in another country. A Gallop pollrecently discovered that in 2018, a record number of Americans wanted to leave the United States forever and begin their life abroad as expats. The data does seem to follow an escalating trend in people seeking to leave the United States – beginning in 2017. The latest data has found that 16% of people want to live the expat life. This increase to 16% is a stark rise when compared to a steady 10% – 11% since the year 2000. This means that of the 290,000,000 million Americans in the United States (the total population is 327,000,000 but 37,000,000 of those are immigrants and not American citizens), 46,400,000 American citizens wish they could become expats. Who Wants to Leave the U.S. to Become Expats? The new Gallop Poll seems to indicate that a sharp rise in women has led the charge for the most part. Where 13% of men want to leave the United States, a shocking 20% of women want to leave the US and begin living the expat life abroad. It seems as though gender gaps decline and finally disappear after the age of 50. Another factor seems to be the financial situation of people who want to become expats. It seems that the lower the income, the more likely that people want to leave the United States for a better life abroad as an expat. This could be because of the rising costs of rent in the United States. In the last two years, rent in the United States is rising at the fastest pace it ever has. Many of these individuals are younger, and thus they often still carry with them debt from student loans—which in turn has become a $1.5T USD crisis. With limited funds and increased competition for limited resources, many Americans are seeking less expensive economies where they can live a higher quality of life. Where Are Americans Going When They Become Expats? However, rough estimate figures can offer a list of where Americans are moving when they decide to become expats:There are no exact figures as to exactly how many people live abroad, though the United States State Department estimates that it is between 3 million – 6 million. It is difficult to determine an exact number because many Americans live abroad in other countries illegally – such as the million undocumented Americans that the US State Department has confirmed are living illegally in Mexico. The number one destination for American expats living abroad is Mexico with 899,311 legal residents. However, it is estimated that 1 million Americans are undocumented expats who are attracted to the relaxed atmosphere, delicious food, and rich culture situated so close to American borders. Many Americans find the inexpensive rent and lower cost of living to be a breath of relief as prices escalate in the US. 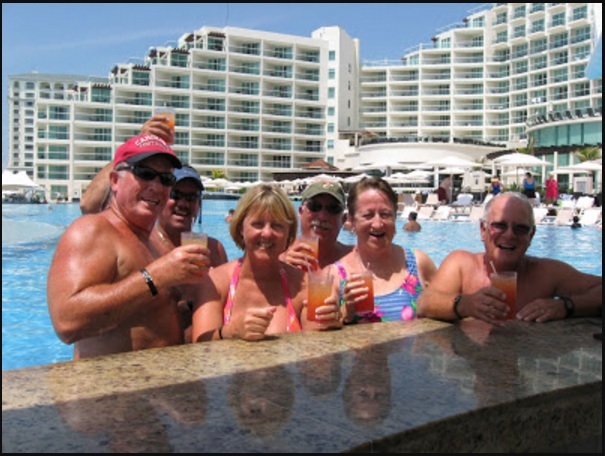 Mexico has not only become popular with youths looking to get away from the hustle and bustle of fast-paced American life, but it has also become popular with aging Baby Boomers hoping to retire to an idyllic beach for a fraction of the price of what it would cost in the United States. Mexican healthcare is modern and affordable. From the Pacific to the Gulf of Mexico, this welcoming country invites you with its warm and friendly people.